One of the biggest debates for 400 meter training is whether they should run cross country in the Fall, or do a Sunday long run. Bud Winter had his 400m sprinters run Cross Country in the fall. For 800 meter runners, it is common to see them run upwards between 40-70 miles a week. But 100 mile weeks? 20-22 miles long runs on Sundays? And a competitive 26 mile (42 km) full marathon 3 months before a 800 meter World Record? Well obviously it worked for Peter Snell, a prodigy of Arthur Lydiard’s training principles. Click here for a 2 hour lecture from Arthur Lydiard including a one hour Q&A with Lydiard, Peter Snell and Barry McGee. In the book Healthy Intelligent Training: The Proven Principles of Arthur Lydiard by Keith Livingstone, we get some insight on the magic (or absurdity, depending on your views) of Lydiard’s approach. It’s a good read, and here is the excerpt on the lead up of Peter Snell’s Training for his 1:44.3 800 meter World Record on a grass track! That 1:44.3 WR time in 1962 was faster than the 2008 Beijing Olympic 800 meter final! Interestingly, in about August 1961, Peter Snell returned from a successful European track tour exhausted from the frenetic racing and traveling, and didn’t feel inspired to re-commence a buildup till September 17th. He established a twice a day routine of running to and from his work, and by October 21st won an exhibition mile race in 4:13, in the midst of accumulating the first 100 mile week of that buildup. By November he was able to cover the 22 mile Waiatarua circuit confidently, covering 4 miles to Lydiard’s home before running the full course in 2 hours 11 minutes, his best since before his Rome Olympic 800m triumph. The following day he started two weeks of hill circuit training, with Wednesdays given over to club races, presumably over sprint and middle distances. After the first week of circuits, he ran a picnic meeting mile in 4:14. He continued his long Sunday runs, as well as morning runs of 10 miles during the week. At the end of his second week of hill circuit training he competed in the Owairaka marathon. He stayed with the leaders in a top field, being 4th at 20 miles. Half a mile later he was reduced to a walk, and at 24 miles he had to sit down. He dredged himself to a very tired finish in 2 hours 41 minutes. Later that day he played in a social cricket match, and when he batted he “lasted about three balls before being clean bowled…..my vision was obscured… there was no coordination at all”. Obviously, Snell had managed to totally deplete his glycogen reserves. He recovered all week, running another Waiatarua circuit the next weekend half an hour slower than usual, then the next Monday started track work with a 4:10 picnic meeting mile and last 440 yards of 58.6 seconds. Thereafter followed a variety of track work on several afternoons a week, with 10-mile morning runs every day, and the weekly long run. He recorded a 9:18 two mile in his first week of track training, followed soon after by a 3/4 mile in 3:04.5, and for the next few weeks, in training or at picnic race meetings, a number of hard time trial efforts over distances between 440 yards and three miles. On Christmas Day he ran a 1:52 / 4:15 half mile / mile double. Four days later he ran ten half-mile efforts (10 x 880yds) in 2:10 average, with half mile recovery jogs. All the while the 10 mile morning runs and long Sunday runs continued. In the next few weeks he ran sessions including a 9:12 two mile the day before 10 x 440 yards in an average of 59.8 seconds, a half mile in 1:51, and a windy three miles in 14:23 (equivalent to about 14:50 for 5000m), a few days before a 440 yards in 50 seconds. He then started to ease up the pressure for a few days, before winning an international race series 880 yards in 1:48.2, passing through 800m in 1:47.7. Although due to run another international half mile the next Wednesday, he felt strong enough to run his usual 22 miles on the Sunday*. The next day he ran half an hour in the morning, and 8 x 150 yards, working up to sprint speed in the closing stages of each. On the Wednesday he ran 880 yards in 1:47.1, passing through 800m in 1:46.3, tying his Olympic record time. The 10-mile morning runs continued. A week later on the 27th January 1962, he ran a world mile record of 3:54.4 with a last 440 yards in 54.8s. 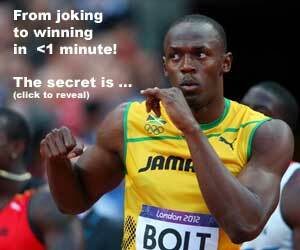 The next week, on the 3rd of February, he ran a world record 1:44.3 for 800m on grass, en route to 1:45.1 for 880 yards. 8 months later, he won the 880 yard/mile double in the 1962 Commonwealth Games. 30 months later, he won the 800m/1500m double in the 1964 Olympics. Snell ran his world 800m record within 3 months of completing his first and last competitive marathon. Heck of a story. My legs need recovering just from reading about Snell’s training and racing for the short period of time related above. Inspiring and admirable. Shouldn’t that read 5.48 seconds at the end of the sentence. If not, he must have taken a tea break before he crossed the finish line for those last 49 yards. There is a basic Lydiard principle – even an average 12 year old girld has the speed to run a 4 minute mile – just 15″ for 100m – but not the enduranace to run 16 of them in a row. Endurance comes from a big aerobic base – aerobic base comes from long runs. The human body hasn’t changed since 1962, so the principles that applied then apply now. The principles haven’t changed, but the way runners now train has. Lydiard revolutionized distance running and he should be applauded for that. But we shouldn’t start copying all of his outdated methods; instead we should be building on them and refining them. Science and the methodology of training has come a long way since then. I agree 100%. It’s like doing Roger Bannister type training if you want to break 4 minutes in a mile. At the same time, I always hear about distance hurting speed; Yet I have yet to read a study that shows this to be true and have yet to experience this with runners who do high mileage.